“What really made the difference was their ability to make the staff assessment a practical tool for changing the way we engage with our people. They challenged us to be different. They challenged us to aim to be a Unique workplace”. 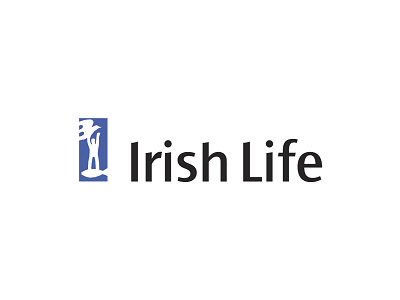 Irish Life is the market leading pension provider of investments and life products. The Corporate Business division focuses on retirement, annuities and risk products to employer and affinity groups in Ireland. Keeping on top of workplace relationships has always been pivotal to their operations. They felt that the regular annual survey wasn’t appropriate anymore in the changing market that had become economically turbulent in recent years. The Customer Relationship Assessment obtains feedback from a 180-degree view, that helps managers and team leaders understand and improve their performance, whilst appreciating the importance of staff engagement to harness the talent and skills of the people in the company. “The team were extremely supportive, not just in getting us ready for the new employee assessment and running it for us, but also in challenging us to address a small number of issues that we intuitively knew we had to address. “It’s not that our employee scores were poor – far from it in fact – but our aim was to have a Unique workplace for our employees, not just a good workplace. “One of the softer issues that the assessment identified was communication with our staff. We felt we had been doing a good job in this area, but the staff were telling us otherwise. “We set up an ‘Ask David’ facility in advance of staff communication meetings where employees could ask any question to our Chief Executive, David Harney. That proved very popular. The survey was broken down to local function level, to provide feedback on issues to be addressed at local functional level, as well as the overall challenges to the Business Division. Today, Irish Life Corporate Business achieves a completion rate of between 90% and 95% for its employee assessments, providing management with robust and actionable feedback on the issues facing the staff – issues that need to be addressed in order to deliver the best possible service to customers. Irish Life Corporate Business has a very committed workforce where people feel they are both challenged and have significant opportunity to take responsibility. The vast majority of staff see a long career ahead of them at the company. Staff feel that Corporate Business is very strong on Supervision. Irish Life has now signed a 5-year contract to conduct both organisation and customer assessments on an annual basis. From Irish Life Corporate Business’ perspective, this helps achieve a consistent view of service from both staff and customers.